By the time Indigenous children reach the age of 14 they begin to be afflicted by preventable illnesses that see their eyesight deteriorate to the point where they are six times more likely to suffer from blindness and impaired vision compared to the national average." 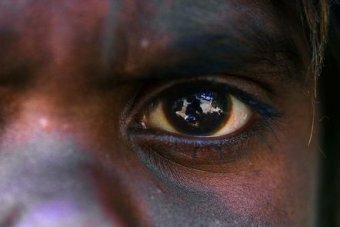 Health officials say they are confident trachoma is on track to be eliminated in Australia — the only developed nation where it still exists as a public health problem — within the next two years. Click the logo to listen to Fran Kelly's interview with Prof Hugh Taylor (Ophthalmologist, University of Melbourne), broadcast Monday 19 November 2018. And check out the District web site for a link to this interview, other stories and for information ways to donate and resources for your use in the Rotary Club and your community.